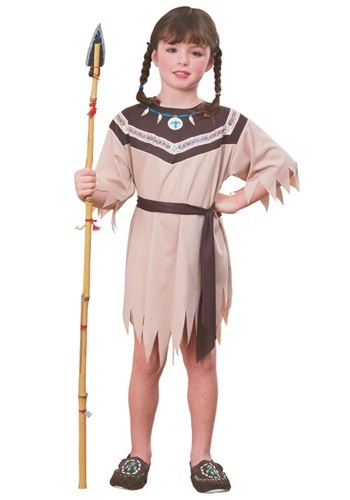 This Native American-inspired costume is a great way for her to have a historical style look. This costume dress looks like it's made of sturdy leather, but is actually 100% synthetic, and features jagged peaked sleeves and edges for a rugged style. It also features printed feather and jewelry details, and an included matching sash belt. Add a pair of boots or moccasins and other accessories to complete this exciting Native American inspired outfit, and she'll be ready to go exploring, even if she's just in a play or history event!